I am a man who is graduating college. I have interest in the Dhamma and the Buddha. I'm not good with describing myself so ask if you want to know more. Does ron224 belong in this group? Does dredel25 belong in this group? Does shrymrse belong in this group? Does mystestormme belong in this group? 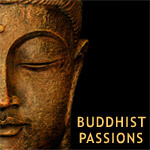 Tibetan Buddhism and non-dualism Interested in non-duality (shankara, mahamudra, dzogchen), japanese buddhism, syncretism between buddhism and Bön, shugendo and shinbone buddhism. Buddhist metaphysics. Does pbgthief belong in this group?